Why Are Sleep Problems So Common Among Seniors? Around half of all seniors have some sort of sleeping difficulty, which ultimately can have serious consequences for their health. Sleep deprivation is linked to a greater likelihood of heart disease, stroke, Type 2 diabetes, and mental illness. Among senior citizens, it can be present for many physical and mental reasons. Because those aged over 65 are more likely to have an illness requiring medication, the latter can cause a plethora of side-effects - including insomnia. Seniors should be aware of the importance of sleep, taking steps to adopt better sleep hygiene measures. What Conditions Can Cause Insomnia and Other Sleep Problems in Seniors? Medical conditions which are more prevalent in seniors can make it difficult to fall or stay asleep. The list is vast and includes osteoarthritis, cardiovascular disease, neurological conditions, lung or respiratory conditions, bladder disease, Alzheimer’s disease and more. Diuretics, corticosteroids, and H2 blockers are just a few medications that can disrupt sleep. What Are the Signs that Seniors Can Have Sleep Disruption? One of the most dangerous aspects of sleep disruption is that seniors may not know they have it. However, poor sleep quality not only raises the likelihood of disease, but also that of motor vehicle accidents, falls, and other injuries. Signs of sleep disorders such as sleep apnea include waking up in the morning without feeling refreshed, feeling sleepy during the day, having ‘brain fog’, having difficulty remembering things, etc. If you are over 65 and you have these problems, consider seeing a sleep specialist, who may recommend a ‘sleep study’ to discover possible problems like sleep apnea. If you have cardiovascular or other diseases and you are taking medication, ask your doctor about treatments that may not have a disruptive effect on sleep. If there is no choice but to take a sleep disrupting medication, make a big effort to adopt better sleep hygiene. Doing so begins with choosing the right bed. If you have a mattress that is over 10-years old, it is time to change. Pick a mattress that is the right firmness for your sleeping position. If you sleep on your side, a supportive hybrid mattress is particularly important to ensure your hips and shoulders are comfortable. The best hybrid mattresses have various layers for contouring and support. They will ensure you don’t wake up with pain or stiffness. Your bedroom design should also be optimal; make sure your abode is dark and cool, and completely silent so you aren’t constantly woken up. Although most of your sleep should be enjoyed at night, don’t resist an afternoon nap if you feel sleepy. New research has found that because seniors can have more disturbed sleep patterns at night, they try to skip daytime naps, only to feel drowsy in the early evening. 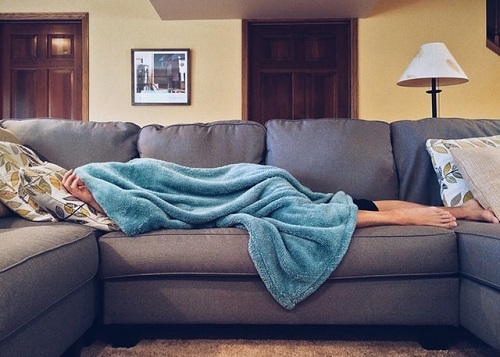 Researchers note that the occasional nap can actually help seniors lead more active lives, by giving the energy boost they need to take part in leisure activities. Older people can have difficulty enjoying quality sleep for many reasons - including the fact that many need to get up various times during the night to go to the toilet. Research shows that older men and women would rather not visit their doctor for sleep-related problems. In fact, if sleep disruption is persistent, it is important to see a sleep specialist to obtain a diagnosis and treatment. Seniors should rest assured that more often than not, the problem is simply poor sleep hygiene: sleeping at odd hours, consuming stimulating coffee or tea before bedtime, or stress. With just a few changes, many seniors can obtain better quality sleep, which can have powerful benefits for their health and wellbeing.